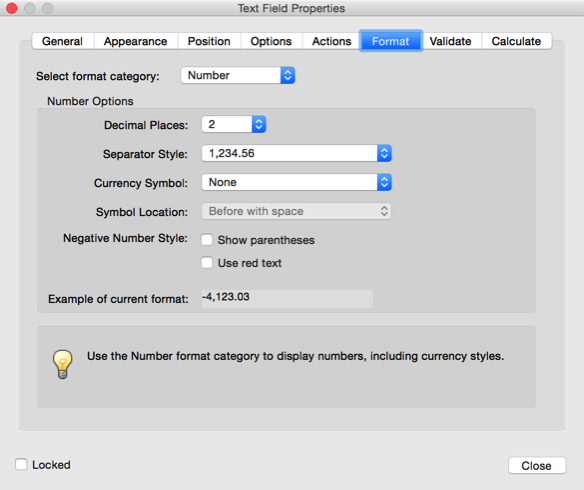 For some options in Acrobat’s form editor, you can select multiple fields and then apply the same option to all selected fields. This works for example for the “read-only” flag, or the display options. It does however not work for things like formatting/keystroke/validation/calculation scripts. 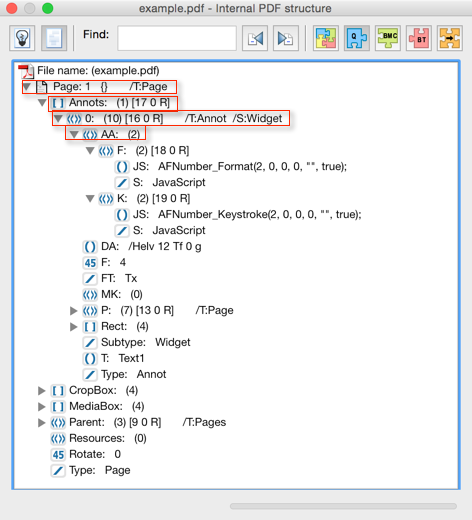 So, how do we find the script that Acrobat applies in the background? 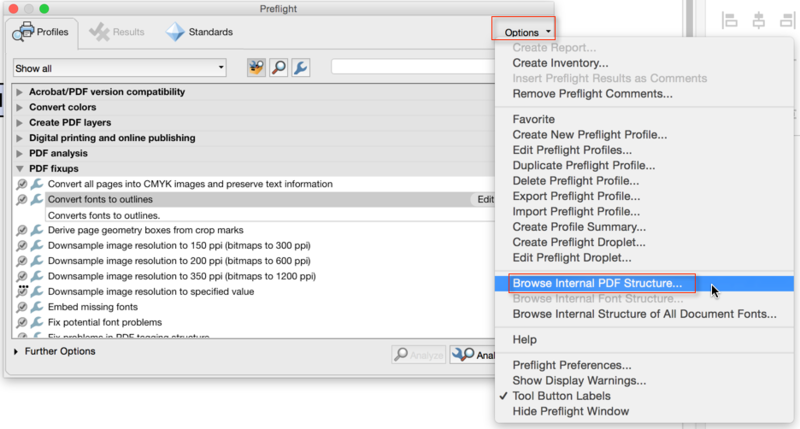 More good news: The tool to do that is built right into Acrobat Pro as well (unfortunately, not into Acrobat Standard): It’s the pre-flight tool. We are looking for the “Page>Annots>N>AA” dictionary entry with “N” being the annotation number. In this case – because we only have one form field in our document, this is straight forward: We are using the annotation #0. In the “AA” dictionary, we see a number of different entries. If we are dealing with a formatting command, we usually see two items: The actual format script and a keystroke script. The “AA” dictionary entry is describes in table 220 in the PDF specification (ISO 32000-2008), which points to table 194 for an explanation of the different trigger events. For the following, we will only consider the formatting, keystroke, validation and calculation triggers. They are defined (in this order) by the keys “F”, “K”, “V” and “C”. – if you do that, just make sure that you do not modify anything in these scripts. You can of course combine this with a look that looks for certain fields, matching a certain pattern and then apply this change only to those fields. This can be done in e.g. an Action, or a Custom Command (see my previous post about Custom Commands for more information). We have not discussed the validation and calculation scripts that Acrobat might add. The process is the same, all we need to do is either look for the “V” key for a validation script, or the “C” key for a calculation script (e.g. a simple field notation script or one of the simple calculation methods). This is a very simple way to automate something that otherwise requires quite a bit of clicking and pasting of information. This is awesome! Thank you! I have spent couple of hours looking for this information and you have written this so beautifully.